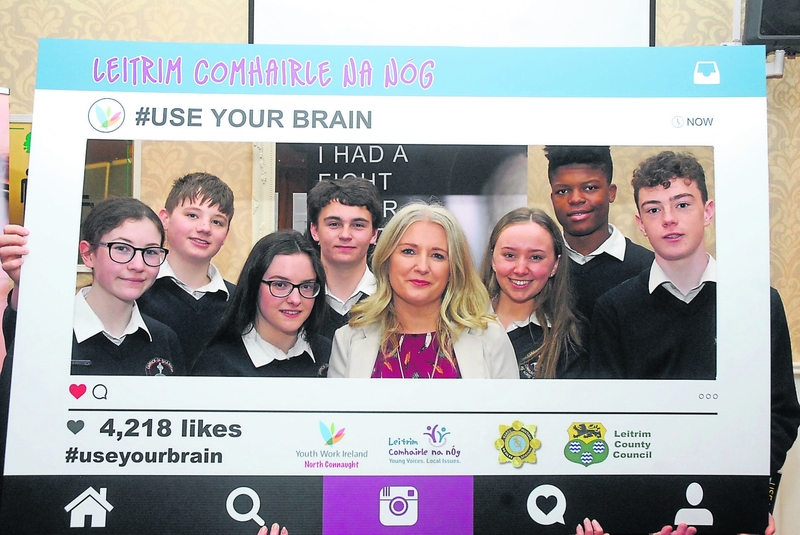 If you have not seen the Comhairle na nÓg Liatroma's video ‘Use your Brain Not Your Fists’ where have you been? The emotional and educational video highlighting the effects a fight can have on both the victim and the perpetrator, was launched last Friday, April 27 and has been hitting hearts and minds since. The video is the brainchild of Leitrim Comhairle na nÓg, who after they heard about the Garda campaign in September 2016, targeting over 18’s, which emphasised the consequences of assaults, not just to the victims in terms of injury, but also to the perpetrators, in terms of prison, lost career and travel prospects, came up with the idea of making a video for their peers. The initiative first decided by over 100 Leitrim youths was created by local teenagers with the help of Loch Bó Films and funding from the Creative Sector, NW Drug and Alcohol Task force as well as Leitrim County Council and North Connaught Youth Service. The video is supported by An Garda Siochana. The content is powerful and thought-provoking and has been inspired and motivated by the death of Andrew Dolan from Carrick-on-Shannon and the catastrophic injuries suffered by Shane Grogan from Tuam, following senseless and unprovoked attacks. Andrew’s mother, Rosie Dolan, and Shane's parents, Joe and Joan Grogan, feature in the video and share their heartbreaking experiences following the attacks on their sons. Other contributors to the film include former footballer and League of Ireland legend, Joseph Ndo as well as Garda Noel Lee and Sgt. Kelvin Courtney. The video will be promoted nationally in all second level schools, as well as through sporting organisations and youth associations throughout Ireland. The video has already proven popular being shared by national organisations and receiving high praise for the impacting content. Joe and Rosie Dolan lost their son Andrew to an unprovoked attack. Joe and Joan Grogan's son Shane has been left brain damaged and paralyzed, and both families speak on the new anti-violence video campaign. Joe Grogan told the crowd his son was out in Galway and was hit with a concrete block. He was brain damaged and is now in a nursing home in Tuam. He said his biggest regret was not bringing his son into court before the judge sentenced the perpetrators. “He was innocent and didn't deserve this.” He stated there should be a mandatory 10 years imprisonment for an unprovoked attack.